Brussels: Back to basics at Boudouin? 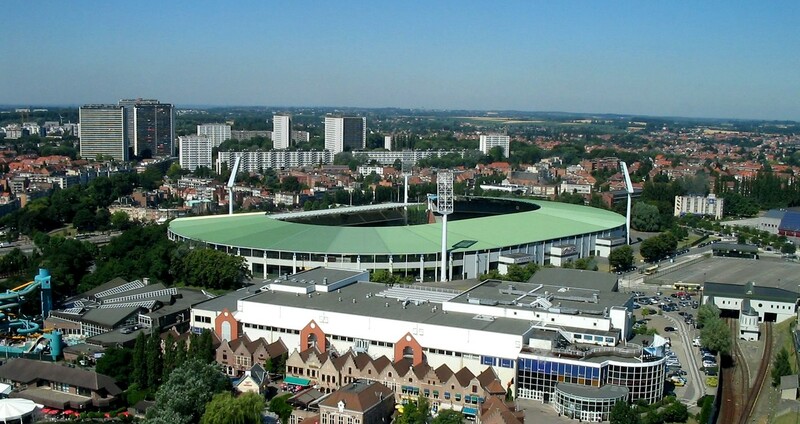 After the failure of Eurostadium scheme, a new plan is being drawn by Belgian FA and Diamond League organisers. A 40,000-seat stadium exactly where current King Boudouin Stadium stands. Yesterday the Belgian football association (KBVB) and sports event agency Golazo (hosts of Memorial Van Damme, a Diamond League event) presented their common vision: Golden Generation Arena. It would be a 40,000-seat multi-event arena, retaining the existing athletics use while also being able to hold football and rugby at the highest level. It's advertised as renovation of Stadion Koning Boudewijn rather than construction from scratch, though the price tag suggests it could be much closer to the latter. For the moment the price is expected to be €150-200 million, which is a preliminary estimate. What KBVB and Golazo agree on is that it's not them who should pay, rather the public authorities. Specifically, governments of Belgium, Flanders, Wallonia and Brussels. Operation could be private or public, this is seen as secondary at this point. 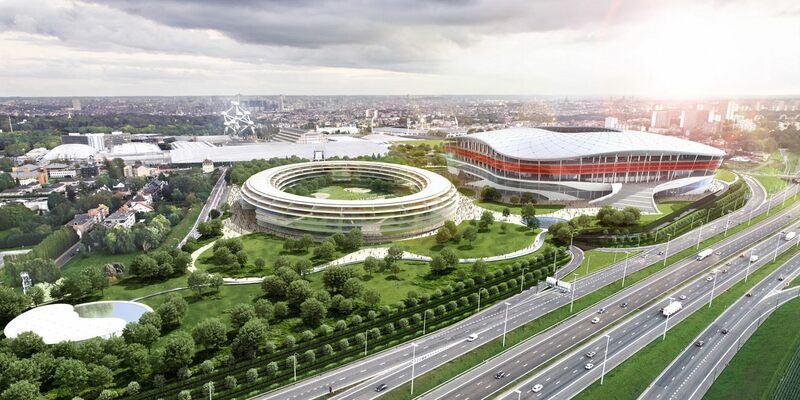 Despite relying heavily on taxpayers, the project is already said to have political backing from all major parties, even the center-right N-VA, which helped burry the abandoned Eurostadium scheme. This should make procedures easier, even if getting a planning permission might still be challenging. Importantly, the Boudewijn stadium plot is within administrative borders of Brussels (contrary to Eurostadium site at Parking C, across the street), which means no new spatial/zoning plan is required. All that's needed are mobility and environmental impact assessments. Also, because the stadium would sit where sports have been played for decades, opposition from local residents should not be a major issue. After all, the capacity, lighting and sound pollution can be reduced within the new plan. What may be problematic is an actual operation model that would delivery satisfying financial outcome. KBVB only hosts a handful of major events annually, the Diamond League is only one more. And on top of that a limit of 12 large events is currently in place, which is too few to secure loss-free operation. There are still ways to mitigate that during planning phase, by diversifying uses. KBVB has hinted that architectural practices will soon be invited to design the new national stadium. The issue of new national stadium in Brussels has been on the table for many years now. During the World Cup 2018 bidding stage Belgium was to have the tournament's final-match venue exactly here at Heysel. It would have hosted 80,000 people, but the joint bid by Belgium and the Netherlands has failed. 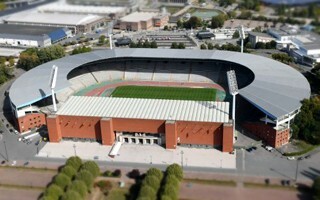 Then came Ghelamco with its private plan of building Eurostadium, a new home for the national team and Anderlecht. With over 60,000 seats, the building was to sit at Parking C, just on the other side of the ring-road from the current stadium. However, deadlocked administratively, the project is effectively dead and has led to UEFA stripping Brussels of its hosting rights to Euro 2020. Ghelamco officially are still pursuing the plan, but with no political backing and lack of tenants (KBVB and Anderlecht had both fled) it's in limbo, possibly waiting until the current plan dies. According to Ghelamco, the existing stadium site could not support a venue as big as proposed. A 15,000-seat athletics stadium is all the company envisions for the plot. StadiumDB.com is one of the world's leading websites dedicated to football stadiums. We strive to keep it up-to-date, mostly thanks to your support. Our database counts: 1901 stadiums, 735 stadium designs, 208 stadiums under construction, 128 tournament stadiums and 60 historical stadiums. © 2001-now StadiumDB.com. All rights reserved.